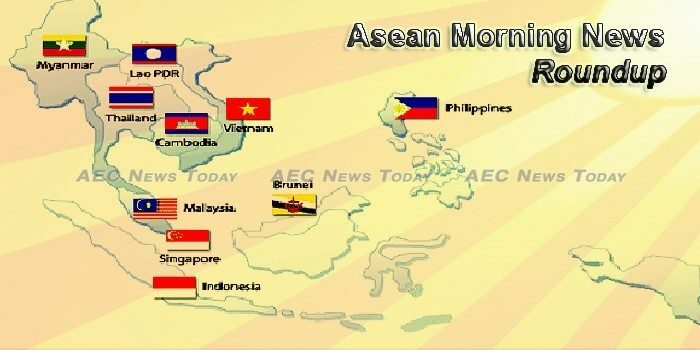 Around 90% of the 36 million people in Southeast Asia living below the international poverty line are Filipinos and Indonesians, according to a development report released by the Association of Southeast Asian Nations (ASEAN). Good infrastructures are a key to economic activity and development. To boost their growth, ASEAN countries are planning to invest heavily in infrastructures in the coming years: not only will they provide better transport, power and sanitation but also interesting opportunities for suppliers of building materials. Of crucial importance, however, was the finalisation of the framework of a much-ballyhooed Asean-China Code of Conduct (COC) in the South China Sea. Both sides hailed it as a crucial milestone towards ensuring rule of law in the troubled waters. Navy forces in Southeast Asian countries have agreed to bolster cooperation in dealing with security, disasters and environmental threats. Pattaya conference of regional maritime forces emphasises consensus in south china sea, unified early warning system. Despite the fundamental faults within the Association of Southeast Asian Nations, there are “glimmers of hope” for the bloc of 620 million people, according to a journalist who has extensively covered its politics. The government, through the East Coast Economic Region Development Council (ECERDC) will be establishing the first Asean Competency Centre at the Pahang Technology Park (PTP) as part of Malaysia’s strategy to accelerate its readiness for the 4th Industrial Revolution (Industry 4.0). A Catholic Church leader has expressed relief that overseas Filipino workers (OFWs) are now more protected from abuse with the recent signing of a landmark document that seeks to protect their rights. Can DU30 keep his Asean gains? HOW we managed to blow P15.5 billion, if this figure is indeed correct, to light up the 50th anniversary of the Association of Southeast Asian Nations (Asean), the 31st Asean and12th East Asia summits, and the 13 other inter-related summits in Manila last week is a question the government must address with complete transparency. It seems too hefty a bill even by imperial standards. Cambodian Prime Minister Hun Sen challenged the United States on Sunday to cut all aid after it announced it was ending funding for a general election next year in response to the dissolution of the main opposition party, media reported. Will US, EU turn the heat on Hun Sen? It has become de rigueur among observers in Phnom Penh to ask how much longer before the international community acts against Cambodia’s mounting anti-democratic crackdown. China supported Cambodia to accomplish its substainablity and development path, without surprising or reacting to the dissolution of Cambodia National Rescue Party (CNRP), according to Chinese Foreign Ministry’s spokesperson Geng Shuang. State-owned asset management firm PT Perusahaan Pengelola Aset (PPA) has injected some Rp 1.94 trillion (US$143.48 million) into eight state-owned companies (SOEs) up until September, to assist the companies’ restructuring programs. The Financial Services Authority (OJK) has proposed to relax taxes on several investment instruments in the stock market in order to support infrastructure development and attract investors. State-owned energy company Pertamina has said fuel prices — particularly subsidized gasoline Premium and subsidized diesel fuel Solar — must be increased to avoid further burdening the company. The National Assembly (NA) ended its 4th ordinary session on Friday after adopting the Socio-economic Development Plan, together with the budget and currency plans for 2018, and passing 15 laws. Tax and customs officials need to accelerate their procedures and efforts to amass revenue in line with the plans for 2017 that were approved by the National Assembly. Laos and China have agreed to jointly work towards transforming Laos from a landlocked nation to a land link and promote industry and commerce through the One Belt, One Road Initiative. Drivers in Malaysia caught using their mobile phones will face a fine of RM300, Malaysia’s Transport Minister Liow Tiong Lai told reporters on Sunday (Nov 19). THERE is a lack of synchronicity when it comes to the standards and procedures involved in issuing a halal certification, pointing to a disunity in acknowledging the numerous halal stamps across the region and globe. Malaysia’s border officials at a major Thai-Malaysian checkpoint have a slew of new equipment to curb further cross-border smuggling. The EU’s foreign policy chief Federica Mogherini said Sunday she would discuss ways to end the Rohingya crisis with Aung San Suu Kyi when she meets the Myanmar leader in Yangon. China has proposed a three-phase plan for resolving the Rohingya crisis, starting with a ceasefire, that has won the support of Myanmar and Bangladesh, the Foreign Ministry said. Should tourists still visit Myanmar despite the violence towards the Rohingya? As a journalist who’s been based in Myanmar for a number of years, there’s a question I’ve been getting asked an awful lot lately: Given recent violence towards the country’s Rohingya minority, should tourists still visit? President Duterte is set to fire next week government officials who have been traveling abroad even without the necessary travel order released by his office. At least 100 foreign jihadists, fresh from their Islamic State (IS)-supervised military training in Indonesia, reportedly entered the country before the five-month Marawi siege was officially over. Singaporean Prime Minister Lee Hsien Loong says his country is expected to exceed expectations this year by recording economic growth above 3 percent. Singapore’s investments for the economy and infrastructure, as well as spending on social services and safety nets are all necessary, and a vote of confidence in Singapore’s future, said Prime Minister Lee Hsien Loong on Sunday (Nov 19). SINGAPORE companies have been actively involved in investing in Oman and the last two years have seen significant cooperation in various projects. The Deputy Prime Minister has expressed confidence that the Thai economy can grow by four percent in the third quarter this year while investments in the Eastern Economic Corridor will start flowing in early next year. The University of the Thai Chamber of Commerce (UTCC) has predicted that the Thai economy will expand by 3.9% this year largely due to the government’s Eastern Economic Corridor policy. The Ministry of Transport said it will push ahead with its 300 billion baht infrastructure development investment projects in the Eastern Economic Corridor (EEC) in 2018. Vietnam is striving to become a ‘startup nation’, but the number of venture funds operating in Vietnam remains so modest that all their names are known by startups. Strong economic growth since 2015 has created a thriving domestic property market that is likely to continue next year, said Construction Minister Pham Hong Ha. With a continuous year-on-year decline in sales this year, the domestic auto industry is unlikely to achieve the 10 per cent growth predicted by the Vietnam Automobile Manufacturers’ Association (VAMA). Asean Morning News is the most comprehensive selection of reports on what you need to know from around the Asean Economic Community (AEC) published. All articles are hand curated by the team at AEC News Today. It is published M-F by AEC News Today: Governance, not government; policies not politics.